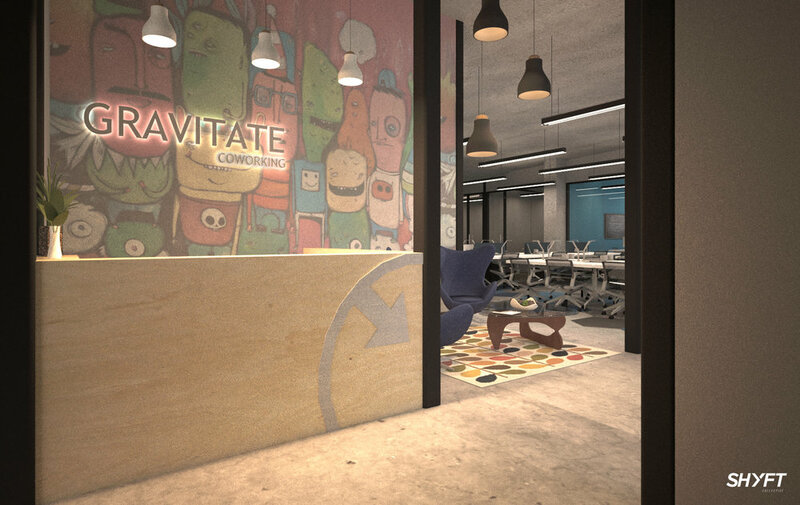 Our new space will be more than twice the size of the current Gravitate Downtown space (the one we call Gravitate 1.5) with a higher capacity for office members, two coworking rooms and dedicated event spaces. We've also added in specially designed features like drop-in offices for daily members, private phone booths and a "stairitorium". For the first time in our company's life, we'll have a space designed to fit our community's needs, rather than adapt an existing space around them. We have lots of opportunities for named sponsorships within the space, too, so if you represent an organization that would like help support this home for Des Moines' creative class, please drop us a note. If you'd like to talk about a space for yourself or someone you know at Gravitate 2.0 or have an idea for an event or meeting that we should host, let us know that, too!